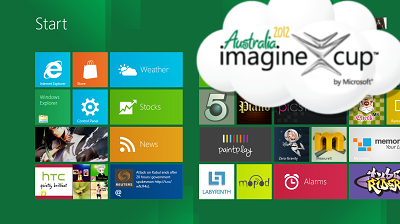 As we all know Windows 8 is on the way and is going to be the next big product of Microsoft in this year, so this year Microsoft Imagine Cup bring a new challenge to the student call Windows Metro Style App Challenge. Microsoft challenge the student to be at the forefront of those creating applications for this new platform. Apps are the center of the Windows 8 experience and great apps start with you. This Challenge will test students ability to prototype a Metro style app that takes advantage of Windows 8 features and design principles to deliver an experience that solves one of the world’s toughest problems and wows not only the judges but those across the globe. So sign up and get ready to take your first quiz! The first round is super duper simple. Just grab your 3 smartest friends and join in the quiz. Your team just need to score more than 50% in order to get into the next round. Simple enough! Just select any one of the time during the 24 hour quiz session and join in. So you still have questions and doubt about this challenge? Then get your questions ready! Join Windows Metro Style App Challenge Captain Jura Clapman on 15 February at 16:00 GMT or 16 February at 03:00 GMT via Live Meeting and ask her about competing in the Windows Metro Style App Challenge. There are two ways to join Live Meeting, found it out at Windows Metro Style App Challenge page.